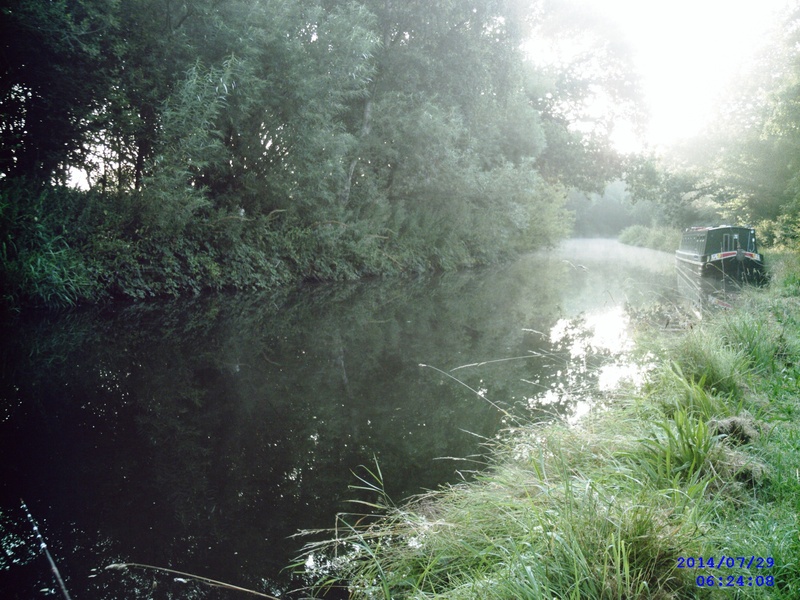 On Tuesday July 29th 2014 at 0600 I revisited my ‘new’ section of the Staffs-Worcs Canal fishing a new swim as usual. Well, I’ve only visited three times in all, the first time I walked the entire length with the spinning rod in hand, the second time I fished a swim where the canal widened into a sort a mini-basin and this time I selected a swim with overhanging vegetation. It wasn’t actually the swim I’d intended – which had been taken up by a moored boat and so I fished about 30 yards further along. The swim I chose had an overhanging bush which looked good but once I started fishing I discovered that the area around it was quite shallow and fully of grassy weed as was the main part of the bank opposite to the right of the bush – caused by boats obviously avoiding the bush and cutting the slight bend in the canal and veering to the towpath side… hence the boat channel was about 1/3 of the canal’s width out from the towpath rather than the usual centre. 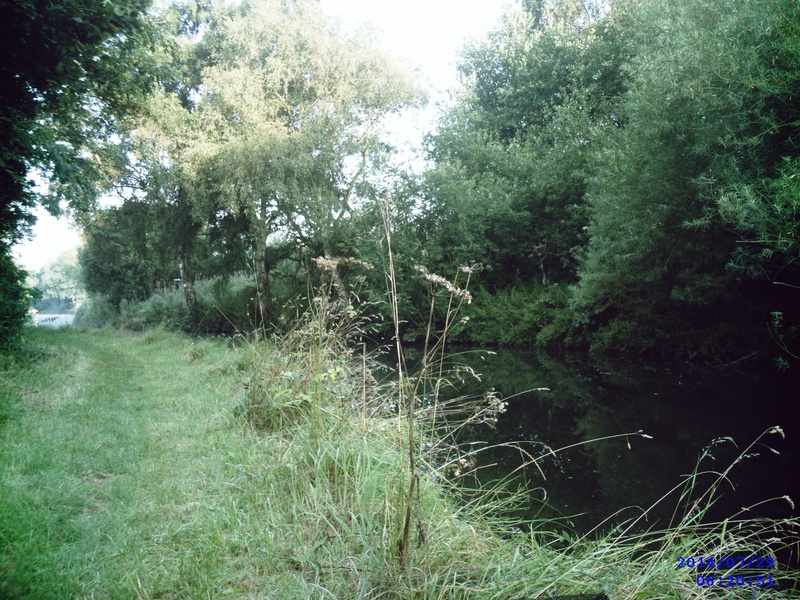 Having made the discovery I fed and fished just off the weedy area and thus on the far downslope into the channel. Feed was maggot and I fished worm or worm/maggot cocktail on a size 12 hook on my standard leger rig (see previous post) set up on 6lb mainline. Bites were frequent and over the period of fishing (0600-0930) I landed around 9 perch, 3 bream and a ruffe. I also dropped off 3 small perch/ruffe and had pull outs on 2 larger fish within 5-10 secs of hooking each. All landed fish were 1/2lb or less. One of the bream seemed to have had a close encounter with a pike not long before hooking with a fresh wound still bleeding near to its tail… Unfortunately, I had my canal gear with me – so a minimum of tackle in my box – and one item missing that I carry in my main kit was Germolene which I carry to apply to fish in such situations – so the poor thing had to be returned as was. I’ll have to get a tube to drop in my box before my next visit. Anyway, it confirmed what I expected from my knowledge of other areas of the Shroppie – there’s pike about!! Nice to know for the autumn/winter when my fishing becomes 95%+ pike focussed that it is an area to be considered to be given a good go at.